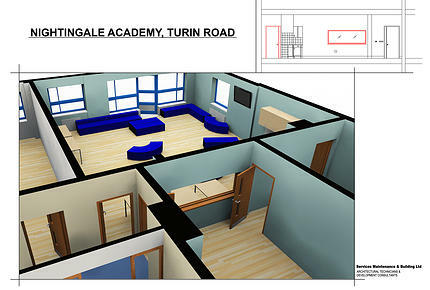 Complete refurbishment of the sixth form unit at an Inner City Academy. This work entailed removing a section of wall to accommodate a viewing panel to give light, and sense of space to the room. 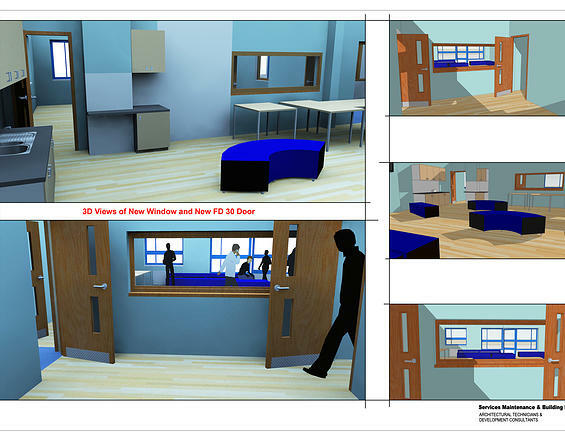 As you can see from the 3D pictures below, this project had to be completed within the six weeks summer holidays before students were back in school for September 2012.